Hey O&G fans, at Marvel's retailers Panal at this years C2E2, the Black Costume will make it's return in Amazing Spiderman #800. The costume was revealed in a preview of a black and white version of the interior panals. 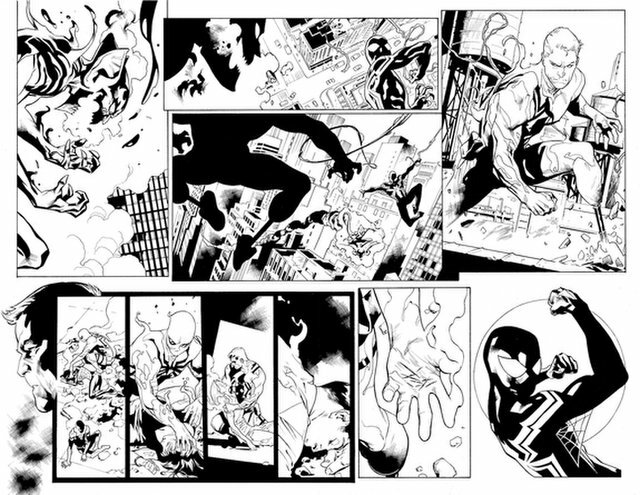 Amazing Spiderman #800 is due out May 30th.